In the wake of the Brexit vote, I have the impression from talking to friends and colleagues in the UK in particular that little is understood about the impact on ordinary UK nationals living mundane lives in France. 1. We don’t all sit round the pool sipping infinite quantities of wine – sorry to disillusion you. 2. Some people live either in rented property or on fixed (pension) income; often both. 3. Some have bought the stereotypical old wreck and have done it up (à la property shows). 4. Most people live in normal houses, some with a bigger garden that they had in the UK, but not always. 5. Healthcare is reimbursed 65-70% from the social security as for French nationals. The patient makes up the rest from a top-up insurance or out of their own pocket. UK pensioners’ social security portion is reimbursed by the UK government to France. In the UK 100% would be covered, so we are a ‘cheap date’ for the British government and taxpayers. 6. The vast majority are not retirees although a lot are, especially in my area. 7. Ordinary people retire away from their previous home, be it to France, the Cotswolds, Scotland, Ireland or Cyprus because they want a gentle, cheaper retirement. We researched our move here in 2010 to death; you have never seen so many spreadsheets, bookshelves brimming with ‘how to’ books, a whole page of bookmarks on Protopage, plus I had experience of living and studying in France and could speak fluent French. I’d worked on several EU commissioned projects and knew my way round the systems and websites. One bright spark recently asked why we hadn’t sorted out residency cards before our move. Er, because of freedom of movement under the EU treaties, they were obsolete for EU citizens including us. Duh! I remember as a student in France in the early 1970s having to apply for a residence card (carte de séjour) months ahead of my visit, trog up to the French consulate in London several times for interviews, letters, forms, etc., arrange a monthly transfer facility with the Bank of England and the Banque de France (exchange control was in force). Once over in France, I had to have my carte de séjour validated at the local gendarmérie (intimidating for an 19 year old who’d never been in a military barracks before), then report back every month. As I was staying beyond the tourist maximum, I had to re-register my little Mini, then when I got back trog over to Maidstone to re-re-register it back to my UK number. Now, I had a fab time in France – don’t get me wrong – but all this ‘paperasse’ was a royal pain in the bottom. I don’t want to go back to that ‘glorious’ time. I admit as a passionate Remainer, I went through the classic of shock, disbelief, anger, despair, grieving. No, wait, I’m still at stage three. My husband and I, as they say, have been angry for two years. However, we saw the UK government machine grind into action and hoped they would organise an orderly exit. Well, we’ve all seen what’s been happening, but that’s not the subject of this post. What are the consequences for the ordinary UK citizens living in France? I can only speak for people I know in our little part of rural France. YMMV. Basically, if you’ve been in France for 5 years or more living in a ‘regular and stable manner’, you have acquired residency rights. That’s well and good. As EU citizens, you don’t have to do anything else – no registration, no ID card, etc. Workers pay social security like any other French citizens and receive benefits for themselves and their children (schooling, local services, etc.) at the same level as French citizens. Retired people and non-workers should have adequate income and health cover either from the UK or as a dependent. All their rights are guaranteed including voting in local and European elections. However, post-Brexit, you revert to a Third Country National (TCN), with no European rights, no voting rights and obligation to have your life examined in forensic detail with the possible instruction to leave France permanently, i.e. deportation. The UK government has negotiated citizens’ rights protection in the Withdrawal Agreement but the possibility of a hard Brexit in March 2019 has caused no little consternation as that agreement will fall without any safeguards for UK nationals lliving in the EU. And local UK nationals have the distinct feeling that the EU is more concerned about them than the UK government is. Local French people are totally bewildered at the referendum result and have been universally sympathetic and kind to us. The French Ministry of the Interior and the departmental prefectures were, like many European government bodies, caught completely off guard in June 2016. ‘Expect the unexpected’ had happened. Due to lack of clarity and, to be honest, a lot of ‘headless chicken syndrome’ in the UK, protecting the interests of UK nationals faded from the headlines. The EU, at least, insisted on dealing with this as a first line measure but until/unless the Withdrawal Agreement is signed, there is no protection. 1. Many Brits don’t have the paperwork. Who but a filing nerd keeps years and years of invoices? Many don’t have the information or skills to put their case together. Many are anxious or frightened of ‘government’, especially as they may not speak the language to a sufficient degree. And there is a lot of opinion rather than factual information out there on social media which disturbs people even more. And those poo-pooing the panic to get cartes are hiding their anxiety behind bluster. Yes, of course there have been the free-riders, the wilful dodgers of the system, the refusers to learn the language. ‘Chickens’ and ‘coming home to roost’ occurs to me. But most people are not them. 2. Many prefectures don’t have the staff to process thousands of Brits. Here in the Deux-Sèvres, they only process about 500 applications annually from French-speaking former colonies and TCNs. Since the Brexit referendum that figure has doubled to include this peculiar new category of UK nationals. We applied in May (2018) for our interview and went yesterday (2 August 2018). If you apply today, you can’t get an appointment until February 2020 (as at time of writing). Apparently, there are urgent meetings going on to address this. But why should the French authorities/taxpayer have to pay for new staff, new buildings, new storage when it’s not a problem of their making? As with many government services in France, there is no charge to the applicant (ISBNs included – bite me!). 2. Put up with a tourist status (or visa system like the proposed ETIAS) which gives you 90 days’ residence out of any 180 day period but under which you can’t return to France within the 90 days after your 90 days residence in France (No quickie Ryanair weekends in that period). UK nationals including us moved their lives to France never dreaming a thing such as Brexit was possible. 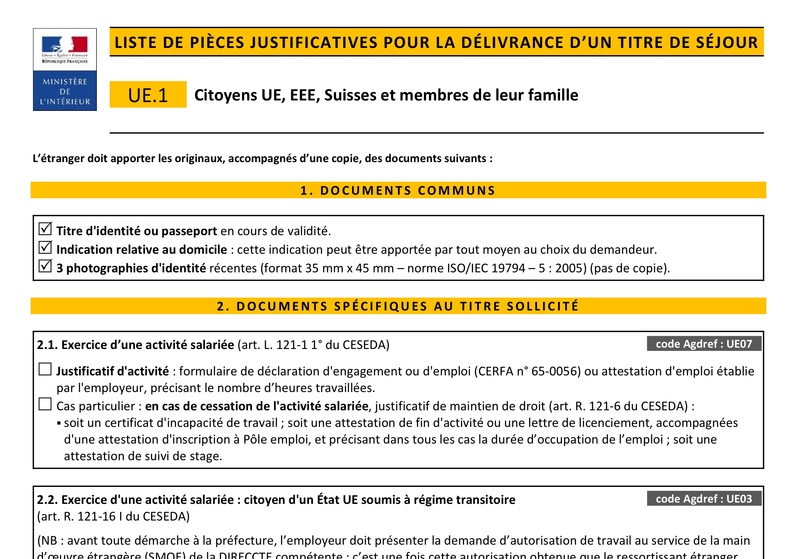 Now, angry as I am, I have the language and admin skills to go through the bureaucratic rigmarole of applying to verify residency with a carte de séjour (hitherto unnecessary for UK citizens and often refused as an obsolete measure). Even as chief paper shuffler in our household I’ve found it an anxiety-inducing process. 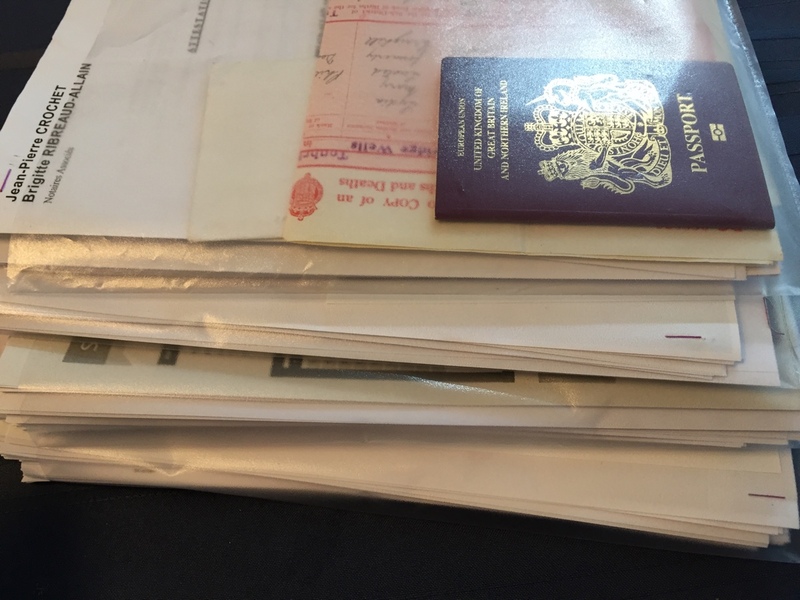 Once we had decided to follow the British Embassy in France and the French Ministry of the Interior’s strong advice to obtain the residents’ permanent cartes de séjour, we booked our appointment and then started collating our paperwork. Had we got it back far enough? Could we satisfy every requirement of proof? We joined Remain in France Together, a Facebook group disseminating and sharing information which also had a local group for the Poitou-Charentes. We shared information on our local Deux-Sèvres Facebook group. But I was in mid conference season, plus we took a week’s holiday, so we were dashing about Europe, and then I was struck by a vicious virus. Time became shorter. But filing nerd that I am, I was relieved to find that we had everything. Then followed a mammoth photocopying session: passport, birth and marriage certificates (translations not requested, but we had them anyway), photos to the official passport standard, current certificate of health cover, taxe foncière and d’habitation (council tax) for the past 5 years, avis d’impostion (tax statements) for previous 5 years, notaire’s certification of house purchase, my most recent DWP pension update letter showing weekly amount, my private pension P60 for 2018, my French pension statements, Steve’s private pension advice starting early 2019, most recent bills (electricity, water and mobile phone). We set out the annual and monthly income amounts in the list, converting pounds to euros and weekly or annual amount to monthly amounts which are more French-friendly! Plus we took loads of other stuff, just in case. If we fluffed this interview, we didn’t want to have to go to the back of the queue and start again. 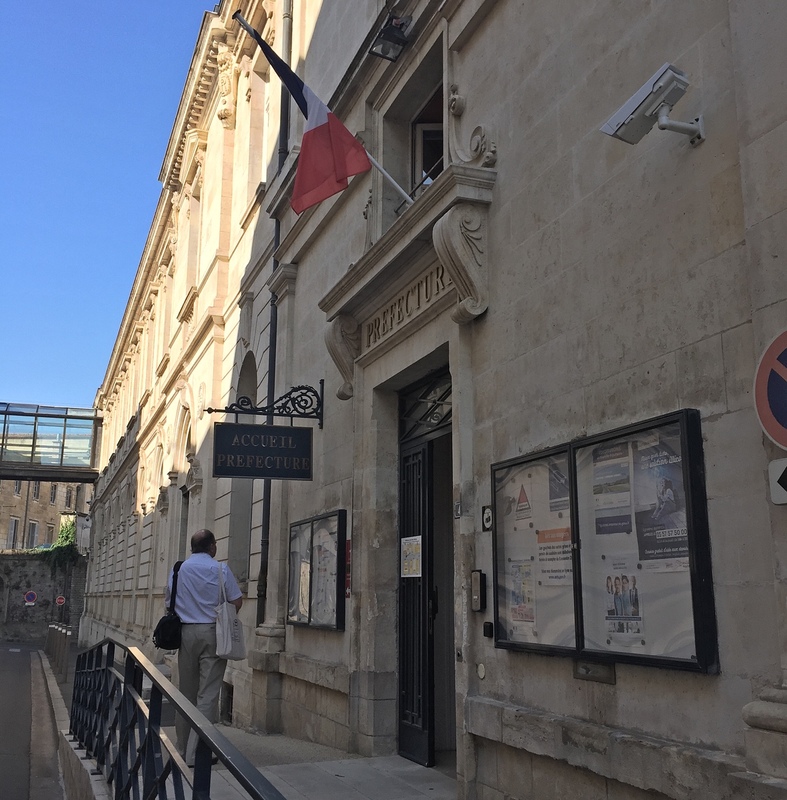 The interviewer at the Bureau des Étrangers was extremely friendly and efficient, but scrutinised everything. The blissful part was that the office was air conditioned! Our fingerprints were taken by green glowing scanning machine – all ink-free! Afterwards we went and had lunch and wine. Driving back, I felt exhausted and dozed. Once at home and a cup of tea in hand, I sat down and cried. I swore at the fly buzzing round my head. I think we’ll be safe once those little pink cards are in our hot hands, but it was the end of a dream. Now, in the place where we live and expect to die, we have become mere guests. Update 5 October 2018: People are reporting in a Facebook support group that applicants who had long interview dates at the Niort préfecture, i.e. in 2019 or 2020, are being contacted and their interview date brought forward to the following week. This is good news, but I wonder if it’s linked with the enabling legislation scheduled to go through the French National Assembly in November. Amazing the rubbish you have to go through, but fingers and toes crossed all will be well. I’ll add a lorry load of fairy dust, so much so, you’ll be seen by the space station as it flies overhead. All fairy dust appreciated! Thank you for your good wishes, Katherine. Your last sentence is a heart-breaker, Alison. Those of us who have adopted another country (and kept our noses to the grindstone for decades) can only hope that this new misguided nationalistic pendulum will swing back to “normal” again – hopefully with new and sane leadership. Glad you, at least, can have some peace of mind for now – just get back at those French bureaucrats and drink lots of their wine. I sympathise – I really do sympathise. The same thing has happened to all of us Downunderites who used to have the right to live and work in the UK before the UK joined the EU. I think then there were at least transition agreements for people and trade agreements between countries. The current situation just feels like a misdirected omnishambles. A pleasure, Liz. Going for our residency interview brought back all the heartache over the past two and a bit years. Having read your “sage” – with a French or English meaning! – words I can only thank you again for laying it on the line in a calm and sensible fashion!! It is important that we share our experiences – we’ve tried, of course, to on RIFT – with a non aggressive attitude. I think the RIFT groups, the main one and the Poitou-Charentes branch are splendid and well administered given the passionate feelings around the subject. People are naturally worried, some frightened even. This is where we really do need to hang together or we hang apart. Well done & good luck. We, too, have lived over 5 years in 79, now in 16. We’re considering applying for citizenship but who knows how long this might take. Our local Maries have always told us we did not need Cartes des Sejours because we clearly live in the village(s). We must try once more, perhaps. What is particularly galling to us is this: we previously lived for 6 years in Sweden. Had we known this madness was likely to come down the line, we would have taken out Swedish citizenship by a simple process there, and retained our European travel etc. entitlements. Thank you for your good wishes. Yes, cartes de séjour became obsolete in the 1990s for EU citizens as we could freely exercise rights under the European treaties. Sadly, we can’t anticipate future curveballs, but I feel for you re Sweden. It’s bad enough watching the fall-out from this disastrous referendum here but, my goodness, I feel for you and your husband. I wish you all the very best. Thanks, Chris. It’s a major pain. If you count the 3 million EU citizens in the Uk and the estimated million and a half Brits in the EU, this affects 4 and a half million EU citizens. What a mess! Looks like you have all bases covered, Alison. I bet many, many others don’t have your superb organisational skills. They must be close to panic! People are certainly anxious and we have several support groups on Facebook where we try to help each other. But it all hinges on what the UK government decides to do. The EU which is, after all, a community of citizens is determined that Brits in the EU and EU 27 citizens in the UK must be protected. I too had tears in my eyes at your last sentence. I have exactly the same feelings as a European in the UK. 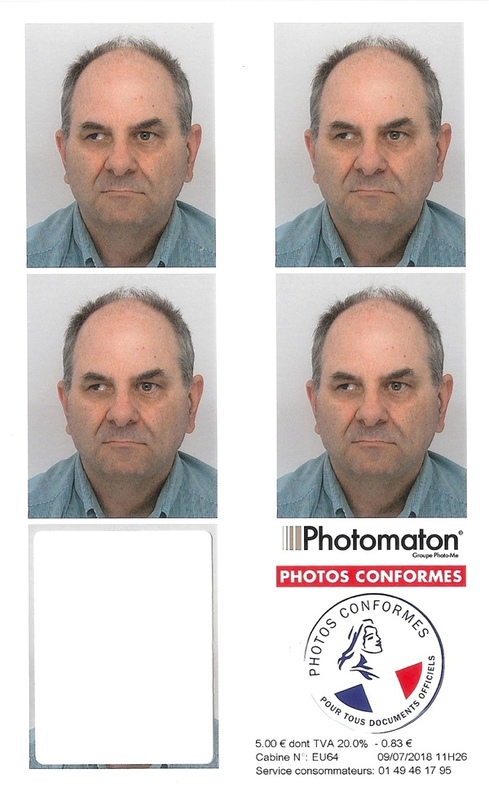 Having gone through the equally ardious residency process here last year, and now have my British citizenship, I still feel unwanted in the UK. It’s heartbreaking and so unneccesary. A stupid, stupid own goal by the British voters (or 50% of them). Cameron should be ashamed of himself and made to reside in the Tower of London for treason (as well as some other politicians I could mention). I *was* emotional when we got back and I don’t usually give in like that – I am British, after all! More seriously, I don’t think the Brexiteers gave one thought to those real people who would find themselves in an unstable and worrying situation because of the formers’ selfishness. What planet are they living on? Not an interconnected one, I think. However having been invited and voted onto the conseil municipal I felt that I had to do something, so I have been through the Naturalisation interviews and I’m waiting for the decision. However it has raised the question for my wife who has not the skills to do the same. 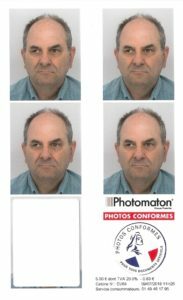 All the necessary documentation for a future Carte de Séjour Permanente for her is with the Platforme de Naturalisation in my dossier, so I have posed the relevant question to the agence. I don’t think my dossier will be will refused as refusals come quick and it’s been a long while. The referendum decision was unexpected and quite frankly resulted from facts biased by certain quarters. Yes I was angry, now I am sad for the UK. It’s very sad, Chris, and I grieve for the UK. I don’t think people are really ready for what might happen over the next few years. Bonne chance with your naturalisation and your wife’s CdS. Thankyou Alison. You have put everything in perspective. I just wonder who is pulling the strings on these puppets. This is my personal view, but I was overcome and al the anger came into a focus. I’m normally quite a cheerful person! Yes, good old Cicero thousands of years ago had the right question to ask at such times: ‘Cui bono?’ For whose benefit? 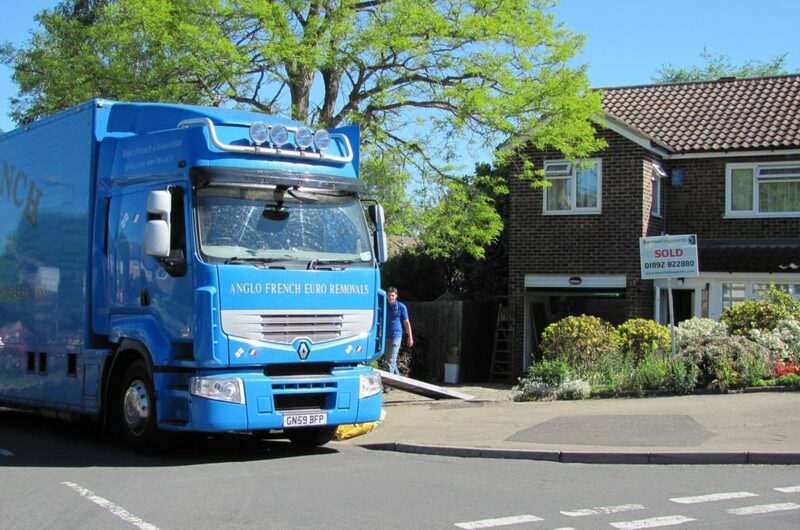 What about those who bought a home in France but still live in the UK ? We are not wealthy but fear this will cost us dearly ! That’s so difficult, Linda, and I really sympathise that you’re caught in this trap, again, not of your making. As you are not resident, you wouldn’t qualify for a carte de séjour, so I fear you will be subject to the 90 day on/off rule that I outlined at Option 2 above. You put the whole thing very well, Alison. I have my CDS interview tomorrow, having been here in Normandy for 12 years. I am a local councillor and volunteer at my local library, and I work with an animal rescue association too, so I feel I do my bit for the community here. Now I suddenly feel vulnerable and different from colleagues. I shall probably go for citizenship eventually, but those who are just sticking their heads in the sand and ignoring the whole thing (and I have met many) are in my opinion very foolish. Gosh, Jenny, you do more that most French people born here do! Brava! I’m sure your interview will go well tomorrow. It’s a shame that you will have to stand down as a councillor, but perhaps you can get elected if you become a French citizen. And yes, the ostriches will have to find out the hard way. Hi Alison I sincerly hope we all wake up from this nightmare soon. I worked in Belgium all my life … well most of it. I retired January 2017 sold up my house and moved with my French partner to the North of France. Handed in my EU Etranger Inscrit card to the commune in Belgium after being there nearly 35 years only to discover the mairie in France merely said WHY when I wanted to declare I lived in the village. Luckily I have the piece of paper from Belgium stamped with the date we left and the address we were moving to. I repeatedly went to to the Sous prefecture to ask for a cDS for Eu Non actif Retraites. Was treated quite badly. In the end they accepted to go ahead and put the wheels in motion. Normaly I get my CDS in September. The relief to have my finger prints done and the Recipesse was immence. I said Phew Now I exist again . All this is so stressfull my heart goes out to all my Uk Ex pats all over Europe and of course the poor EU workers in the UK. All this crap because of lies spread to gain votes. I for one could not vote…. the 15 year rule. When they have no food on the table as its all rotted on its way over via the ferry or they have no nurses or doctors left to treat patients and no medcine to give them we will see who has the last laugh. Im proud of the EU and the way they are standing firm… mind you it will only take one or two big countries in the EU to give in to the UK and the whole of the EU system will fall appart which is what the UK gouvernment want. Im ashamed of being British now. I’ve heard of others having to persist mightily to get/renew a CdS until recently. I admit we didn’t bother as we were EU citizens exercising treaty rights, weren’t we? Yes, a scandal that your vote was stripped away after 15 years, but there is a Votes For Life bill going through the UK Parliament, but probably not in time for a second referendum. We’ll see! There are about 4 and a half million EU28 citizens caught up in this omnishambles and I’m pleased the EU is standing up for all of us. I arrived in France 2007, changed car plates, reported to the mayor of our new town, went to the hotel de ville later on, transferred to the national system of health , started speaking french and after five years applied for carte sejour ( less than three weeks later I was called to the town mayor to sign and pick one up stamped perminant ). If you leave a country … it pays to join your new one completely it saves the hazzle many are now having I guess. And yet I still come across the odd Brit who thinks the rules do not apply to them, or get fined 2000 plus euro because they have not changed car plate for instance after years of being here ! Yes, when you move to another country, you go along with their laws and regulations as well as join in things. My OH gets incandescent when people who have been living here for years boast that their UK-plated car is registered at their son’s/daughter’s address. Apart from being illegal in both countries, it gives the rest of the Brits a bad rep. Thank you for sharing your experiences Alison. After reading this, I think living in Extremadura, Spain has been a lot easier. Unfortunately, the local authorities are not geared up for UK residents and need to keep referring to higher authority, hence a lot of revisiting. Still they have all been well humoured and now we enjoy each others company in the plazas. Residency no problem, 8 years now, health card stressful, empadronamiento a simple sweet hello every year. This year the tax office decided to fine us 70€ because apparently when we sold our villa in Menorca, none of the lawyers, accountants, bank advisers, etc knew about the change of address, even though our NIE (National Identification number) was transferred to our new region. Our main, if not only, concerns regarding how Brexit will affect us, is whether our state pensions will continue unmolested and the reciprocal health are agreements will remain in place. I keep trying, through discussions to persuade those that voted Leave to provide substantiated reasons for their opinion, but 100% of the time they cannot, and revert to insults. It’s the jolt after being under the protection of EU treaties of having to scramble to prove residency that is upsetting people most. They feel the ground has shifted under them. Yes, pensions issue is the one to watch. Fingers crossed the Withdrawal Agreement is signed. And yes, apart from vague stuff about trade deals worldwide, the Leavers haven’t really set out their positive case. And their followers just turn to insult which leaves me to suspect there is little logic and less knowledge behind their bluster. As someone who has worked in the Uk, Italy and France I launched my request for evidence of my work outside France a year ago. Had to do this via the CNAV. Still no update and I wanted this to be finalized before Brexit. There must be many people like me. I have double nationality but do not want to miss out on half my pension. Crumbs, no, you don’t want to miss out on that income. For the UK side of things, have you contacted the DWP in Newcastle? If you paid any NI contributions, you will have an NI number and they should be able to provide you with a record. I am a third country legal resident of France (American),,,I have NEVER had a problem travelling, etc…I have full medical coverage, the only thing I can’t do is vote…I don’t believe you can do that now, anyway, right? I just shake my head at all the weeping and moaning about Brexit. 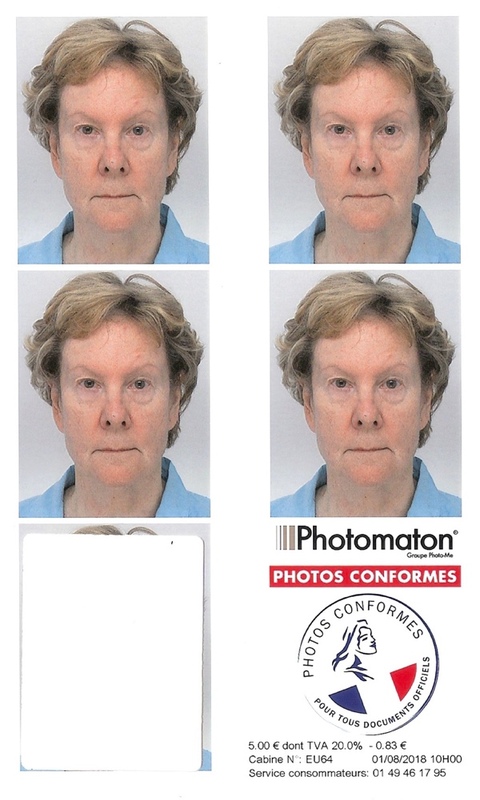 Yes, getting the Carte de Sejour was a pain, but a worth it pain…as a legal resident of an EU country, I am entitled to all its benefits, just as you will be … I’ve been here permanently since 2007, owned 2 properties, had a lot of money which, unfortunately, has trickled to very little, however, at age 73, I am entitled to 100% medical coverage and no taxe fonciere or habitation…it depends on your impot ceiling and age…I just don’t get why you are all in such a dither. Of course, this all depends on your status as legal resident. For those who go back and forth I assume you will have to adhere to the 90 day rule, which is in effect now, isn’t it? Just chill…it will all be fine. What a pity you have rather missed the point. As a Third Country National (TCN) you would not have enjoyed the rights of a European citizen that UK citizens have had. As a TCN, you would have no sense of rights being stripped away from you. UK nationals currently enjoy the automatic right of legal residence – there is no requirement in France for any registration, ID, etc. as I outlined in my post. As EU citizens, transfer of healthcare rights was a given – see above. And yes, we can vote in elections (commune and European) up and until we leave the European Union. Those who are UK resident but own property in France are able go back and forth as much as they like. https://www.remaininfrance.org/free-movement.html There is no 90 day restriction for EU nationals of UK origin. After the first 90 days, they then can stay as long as they like they are exercising treaty rights. The only thing they have to watch is the 180 tax residency rule, but that is nothing to do with the EU. More than that is the feeling of belonging to a wider social and cultural community with shared European values, something not always understood by those originating from outside Europe. Thank you for this Alison – reading your list of documents, I was horrified to realise I had forgotten to include the photos in my application, posted this week – duh! At least now I know, it can be remedied, so thanks again for that. The whole situation is so stressful, after me retiring here thinking of a quiet, calming existence, just about able to live on the paltry UK pension, as long as it is updated every year…. And the anger is the worst – anger at the ignorance and arrogance, and now totally unable to enjoy one of the best musical evenings of the year – how can anyone enjoy singing along to ‘Land of Hope and Glory’ in September, after this debacle? Totally ashamed of my nationality now. Happy my post has helped, Patricia. I think a lot of us are frustrated that our birth country is making a really bad mistake, not based on reason, but on mistruths and manipulation. But you are not alone. And I agree, it will be a very different Last Night after Brexit. Sorry, I meant to congratulate you on an interesting and informed piece. The books you have written – how are they available to buy please? I don’t have electronic gizmos for reading, just the printed word that doesn’t require batteries! Thank you, Patricia. That’s very kind. There are two trilogies plus a novella in the series. I have a whole site dedicated to the books where there are more links, pages about each book, background, characters, Romans, photos – everything! Hello, I am reading as much as I can. I was ill in France after a house with Britain, Fourteen years ago.Now my friend has helped me.Thank god they did. Now I am in PC now so scuttling around that I can.I appreciate your information. I would be better married to a French woman in (any offers). I will read the rest of information.I hate Britain ‘Churchill’ and English football World Cups. the bigotry and I my Labour Party over 30 years. Viva La France. You may find the RIFT website a good anchor point, Robert. Bags of solid information there. Thank you for highlighting this. We went for nationality, the dossier for this, for us two, weighed just under a kilo and took eighteen months. We heard the rumblings about the vote and started putting together the dossier in February 2016, it was accepted by the Prefecture on tbe 18th June 2016. We received our nationality September 2017. What about those of us who have lived in France less than 5 years? I moved to Nantes with my French gf and our 2 children this year… I hope we have a chance! Citizenship is our fall-back position, Lisa. However, I think it wouldn’t be entirely honest as my motivation would be self-protection rather than a burning desire to embrace the Republican dream. I admire the French on so many things; it was a near decision. For the future? Qui sait? Hi Alison, your review is appreciated. We have owned a house in Brittany for 15 years, which we visit as and when we can, and were planning to purchase another house in the Dordogne next year and spend the majority of our year there. We had planned to travel further afield during the colder months, for health reasons. We are retiring early, with an adequate private income to support us. We have no idea now what lies ahead for us. Neither of us want to give up UK nationality and we’re not in a position to move over before 29th March, 2019. We don’t want to rent a house in the Dordogne. I suspect we’ll purchase something smaller than originally planned and have a permanent base still in the UK, dodging between the two as and when we’re allowed. There is also a big question mark over the weeks we were going to spend travelling around Portugal and Spain in winter months. With the 90/180 day ruling we will be substantially restricted there. Although our problem is not as serious as those already residing in France, it is still potentially the end of our dream – which we have spent all these years working hard for. We never saw this coming and are still reeling from the shock of the vote. We’ve decided to carry on as normal and wait and see how much of our future will stay on track. We can’t really do anything else at the moment. We will watch out for any more information you are able to pass on. So sorry to hear that your dreams have been punctured. But I think you’re right to carry on. We can let this derail our lives. I wrote this post as a way to vent the anger frustration I’ve felt over the past two years, but I’m glad you found it helpful. Do look at https://www.remaininfrance.org which is an excellent source of solid information. They also have a Facebook group https://www.facebook.com/groups/RemainInFranceTogether/ It can get quite lively, but again is a good source of information and support. Thank you Alison. I posted your article on The 48% fb page – 13 positive comments, 70 sympathetic responses. I hope some of those people will share with folk in the UK. We need the electorate to hear your voice which represents so many. Thank you for caring. Thanks, Maggie. If we can spread the word, then so much the better. I’ve applied to join, so I’ll have a look later. I’m not really affected by all this Brexit stuff, except that I’ve always wanted to live abroad at some point, and sadly one of the countries I thought it would be nice to live in (and I don’t need to toil over a language for) has said that outsiders aren’t wanted. I guess I’ll have to stick to Italy and hope having ancestry there is a good in. France is being sympathetic to us and we’re very pleased about it. I think that all other EU countries will introduce some form of residency registration from the day of Brexit, so Italy may not be exempt. If you can get Italian citizenship, then you will be able to move freely as an EU citizen. I think the thing is to keep trying to get an appointment, Lynne. By going through the CdS process now you will have proven your right of residence. I don’t know, but I expect that we would have to go through something similar after Brexit, so starting now will get you ahead of the rush which is inevitable. Current thinking is that the CdS EU will be exchangeable for a third country one later down the line. Bonne chance! It seems a paradox that you wish the UK to ‘remain’ in EU, but do not choose to actually live here. I was taken aback how to answer this as the two things are unconnected. Wishing something positive for a place does not mean that you have to live there. I have friends all over the world and am interested in their lives, their welfare and their their communities. I’ve loved many places in the world, places I feel thoroughly at home in like slipping on familiar clothes, but I don’t live there. I’ve lived in several, and travelled through most, European countries. As for the UK. I’ve served my country in central government, in its armed forces, in the voluntary sector, as a local government councillor, as an employer, as a mentor, amongst other things. I worked in the ‘Britain in Europe’ campaign in the early 1970s. You can see that I’ve been a contributor to the UK and not always for my own profit. I wish the UK to prosper and maintain its core cultural and social values, to remain in a leadership position among nations. At present, I’m having an ambivalent time as it doesn’t seem to have my welfare nor that of other Brits in Europe on its agenda. However, I’m trying to remain optimistic. Where I physically live is immaterial. For your information, it’s mainly for health reasons, so sorry if I want to live a better and longer life. Christine, this is a poignant story, but one that show your love for France. It is so sad watching Britain take what we see is a foolish step. i think that however integrated we become here, we still have a great fondness for where we were we were born and spent a considerable portion of our lives. I feel optimistic as the community is coming together and people are helping each other and that can only be a positive thing. But I don’t trust this government to not pull up the drawbridge after 2019 to expats , or to change the tax laws regarding U.K. pensions. They’ve already suggested that workers in the U.K. over 65 will start to pay National Insurence again . I remember a minister from the Cameron government saying British ( BBC ) tv is for British tv licence holders , as they sent up another satellite with a tighter coverage and eliminating most of Europe. Resulting in expats having to buy much bigger tv dishes. La Dolce Vita in there eyes. So far the BBC TV is still working! Should I be touching wood? More seriously, we need to support groups like RIFT and the other British in Europe groups as they will keep a stern eye on things whoever is in government in the UK. I hope you settle back in the UK and that things go well for you. Absolutely! I have many Irish friends, plus both times I’ve spoken at the Dublin Writers’ Conference, since the referendum, I’ve been very warmly received, and with much sympathy. “Now, in the place where we live and expect to die, we have become mere guests”. Congratulations on being so incredibly lucky as to being considered a guest in France. We EU citizens in the UK have had the ‘hostile environment’ purposely created and thrown upon us by Theresa May, the rest of the British government and the majority of those who voted Leave on the basis of prejudice against immigration. We have gone from being lawful residents and net contributors to the UK economy to being viewed as bloody ‘imergraunts’ who have the remarkable, Schrödinger-like ability to steal jobs from the locals while simultaneously sponging from benefits. EU citizens in the UK have been physically attacked in public places for speaking their native language. A Polish citizen committed suicide after being unlawfully taken to an illegal immigrants compound and held indefinitely for no reason. The best we can hope from our British friends is a patronising ‘oh, you’ll be ok’ followed by a fast change of conversation. Quite frankly, your situation in France sounds idyllic to me by comparison. We’ve watched reports on the news and are horrified at this behaviour. Most of my friends in the UK are Remainers and are appalled how quickly fellow workers and friends have been demonised. We worried on the day after the referendum if there’d be any backlash here but have experienced none (so far). The French are puzzled why the UK would leave the world’s largest trading group with hundreds of years of shared history, culture and values. I have a Finnish friend who has been in the UK for 33 years with a British husband, British children and British grandchild. To completely secure her status, she put herself through naturalisation as a UK citizen. Her elderly parents still in Finland and wanted to make sure she wasn’t prevented from re-entering the UK when she went to visit them. Yes, we all need all our fortitude at the moment.